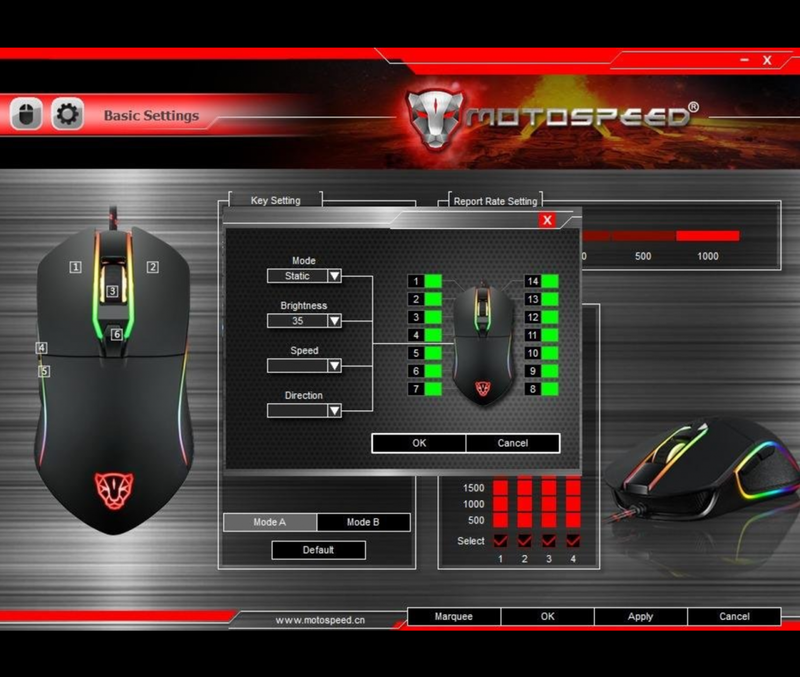 » Mouse Reviews » Motospeed V30 Review, A Cheaper RGB Gaming Mouse? One of the first things anyone should look at when seeing whether or not a mouse is going to be nice enough to justify purchasing – for gaming specifically – is what the max DPI setting is. Just because a mouse doesn’t have a max DPI of over 12000 doesn’t mean that it’s not a mouse that could be used competitively or that it’s going to be low quality all around. I personally don’t see how someone could use a high DPI setting like that, even at a 4K resolution. If you’re gaming like most people today, you’ll be gaming at 1080p. A good DPI setting to have when you’re gaming at 1080p resolution is roughly in the 1000-2000 mark but that’s an overall average. There is no “optimal” DPI setting to play on, it comes down to what you’re comfortable with. Most people will use a mouse in-between 1000-2000 DPI because when you’re moving that many dots per inch you’re able to get across the screen faster when it’s a HD resolution. With that, you could use a DPI setting lower than that if you use your forearm more than just your wrist when aiming a mouse. Like I said earlier, it comes down to what you’re more comfortable with. On the product page it states that it can go up to 4000 DPI and on the box it says a max of 3500 DPI. From some customer reviews I’ve read some say that it goes up to 7000. Can’t say for sure, but what we know for certain is that the max is 3500 at the least and that’s plenty with 1080p in mind. There is a wide enough range of DPI with this mouse to be able to mess around and get to a spot that you’re comfortable with and that’s most of what you’d want to look for in a mouse. You’d also want to make sure that the build quality is up to par with what you’re paying and that there is further proof in the pudding that it’s a good enough mouse! When it comes to build quality on a mouse you want to make sure that it’s not made of super cheap plastic that’s going to break in a month and you also want to know that it’s not going to arrive DOA or become dead after a few months. Some ways you can judge the build quality is through what the warranty is like, what others had to say about it and what the actual specs are. As far as the warranty, they cover you for a full 12 month period where you can return it if there are any problems. You don’t really hear of off-brand companies like this that do that so that’s a big plus! What company doesn’t believe in their product being of high quality if they’re offering a full year’s worth of warranty coverage? They wouldn’t be offering this if they didn’t actually believe in it and make sure that it was made well. I dig the material used here. It’s not the cheapest plastic they could’ve gone with, it’s thicker compared to other mice of a similar price. I also like the rubber sides, it adds to the overall comfortability. The wire is very durable, made of a braided material so you know that it’s not going to get cut open very easily. It’s also almost 6 ft. long so you won’t be having any trouble reaching a good USB port for it. Then you also take a look at some of the customer reviews and you’ll notice a pattern of high ratings across the board. Many people have stated how comfortable it is to use, that it doesn’t feel cheap and that it works with no input lag. Whether you’re a casual gamer or if you’re wanting to play competitively, I feel like this mouse is up to par with both. Sure, you’d be able to pay more and get a mouse that maybe has even more buttons than what this one has if that’s what you’d want to go for – but for roughly $20, this mouse has what it needs. The lighting is nice and bright, there are two extra thumb buttons on the side and you’re able to change your DPI setting on the fly… It has been almost a year since this mouse has come out and others have nothing but good things to say about it and it seems like a nice budget choice for those wanting RGB lighting on a mouse that doesn’t break the moment you use it. This mouse also has its own driver software! You read that right, an off-brand mouse that has a driver software that is actually useable. You can download it right here if you need to, it’ll download as a zip. Simply extract the zip file and you’ll get the user manual as well as the .exe for the driver software. In the software you’ll be able to change the lighting effects, change your DPI settings and change your profiles. You’ll be able to change the colors, brightness levels, mode and speed of the lighting. There is an option for static lighting I believe, just in case you get tired of seeing the spectrum of the color wheel cycling through all the time. For the different DPI settings you’ll be able to set how it switches up whenever you click on the DPI button and you’ll be able to set up different profiles for them as well. This means you won’t be stuck just switching through 3 different DPI settings. You’ll be able to pin point exactly where the DPI is set to and you’ll be able to switch between them whenever you need to. It’s nice for when you want faster mouse movement during a FPS but you’ll want it a bit slower when navigating through menus and what not. Doesn’t sound like much, but when you go to do this you’ll appreciate how you were able to switch between them! All in all it’s an easy software to download and use. 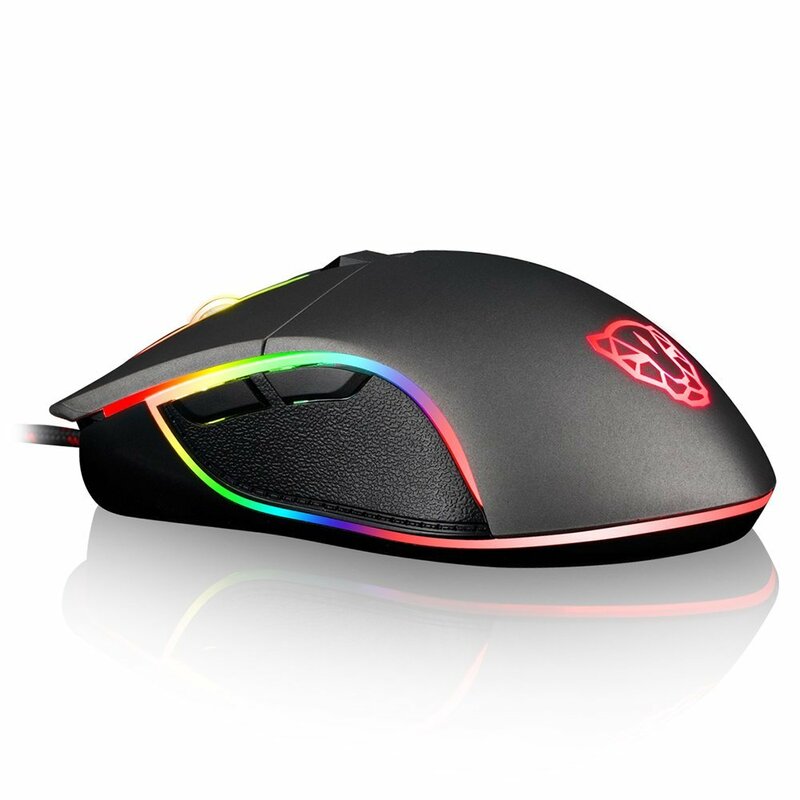 I was actually surprised to see that it even has a dedicated software to go with, you usually don’t see that with mice like this and at this price point. In a nutshell, you get what you pay for and then some with the Motospeed V30. 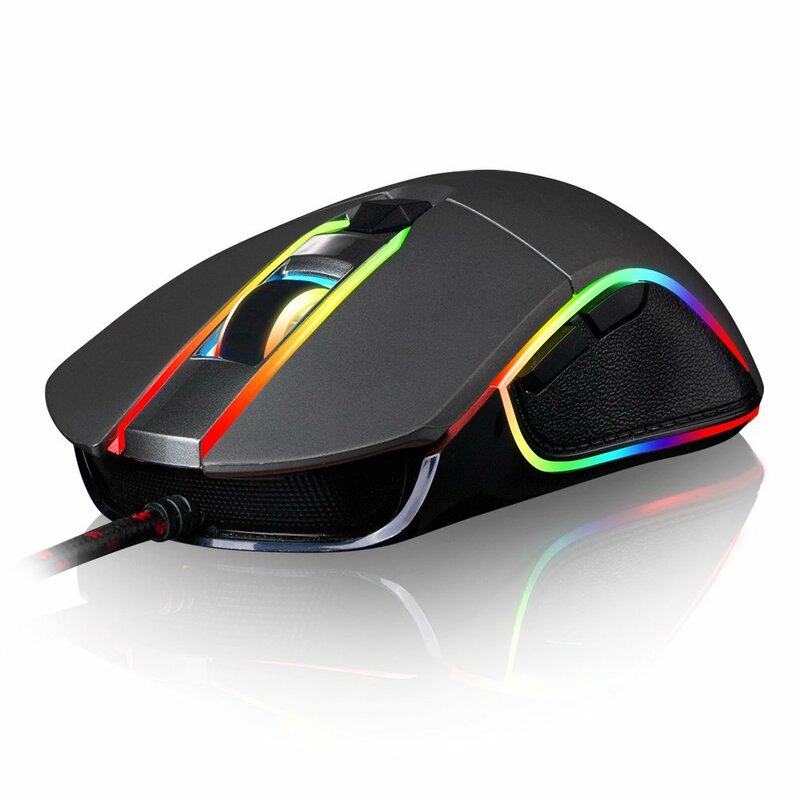 Not only are you able to switch between different DPI settings and have an extra two thumb buttons – it also comes with RGB lighting and a dedicated software to ease the process of making the mouse your own. Don’t only take my word for it, there are plenty of others who can say the same if not more about the mouse in the Amazon reviews. 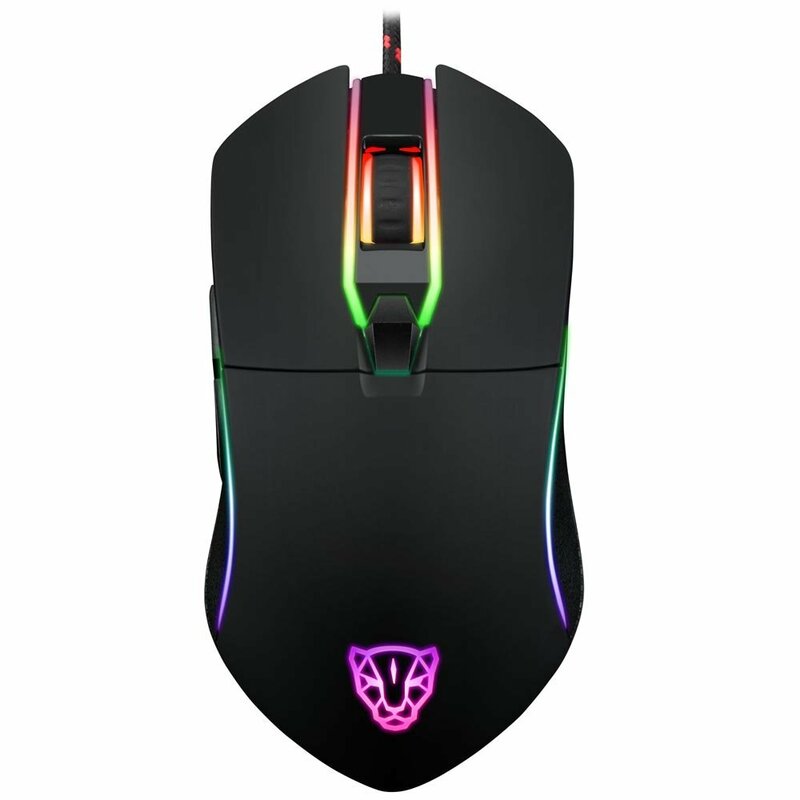 I would suggest picking this mouse up if you’re wanting a cheaper mouse that has RGB lighting but is also able to give you a nice level of performance for the money. So, are you going to be getting this mouse? Tagged cheap gaming mouse, motospeed, rgb gaming mouse, v30. Bookmark the permalink.